Hide this Project (Akshara Niloy) Discover properties in other projects by hiding the ones that doesn't interest you. You won't see them in your searches further but you can unhide anytime later. Hide this Dealer (Rajesh Dayani) Discover properties by other dealers by hiding those whom you have already spoken to. You won't see them in your searches further but you can unhide anytime later. Hide this Dealer (Indranil) Discover properties by other dealers by hiding those whom you have already spoken to. You won't see them in your searches further but you can unhide anytime later. Akshara Niloy, located in Kolkata, is a residential development of Akshara Group. It offers spacious and skillfully designed 2BHK and 3BHK apartments. The project is well equipped with all the basic amenities to facilitate the needs of the residents. The site is in close proximity to various civic utilities. Where is Akshara Niloy located? The project is located in Behala, Kolkata South. What apartment sizes are available in Akshara Niloy? The project offers apartments sized between 970.0 sqft and 1509.0 sqft. 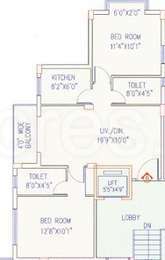 What is size of 2 bhk in Akshara Niloy? 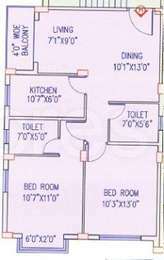 The area of 2 BHK apartments ranges from 970.0 sqft to 1008.0 sqft. 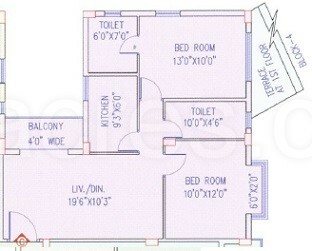 What is the 3 bedroom size in Akshara Niloy? The area of 3BHK units in the project varies from 1313.0 sqft to 1509.0 sqft. How much is the actual area of Akshara Niloy?The area of the project is 5.1 Acres. 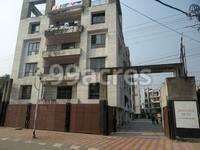 What is price of 3 bhk in Akshara Niloy? 3 BHK apartments in the project are available at a price of Rs. 5500000 to Rs. 6300000.